Put your best foot forward for fundraising. 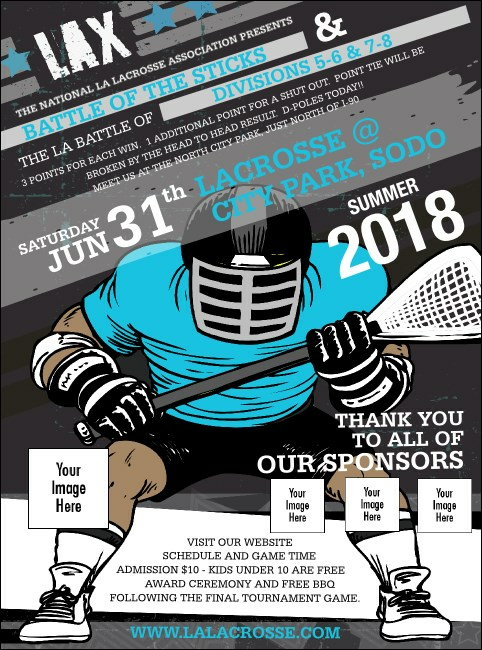 With a Lacrosse Flyer, it will be simple to raise money for local and youth Lacrosse leagues, or any sports-themed activity. When you need to raise the attendance level for any organization, this flyer is sure to catch an eye.